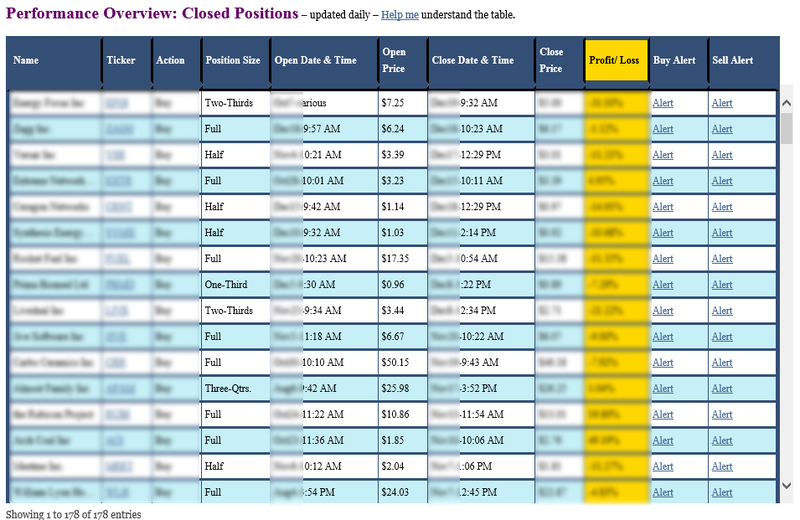 1The Table below is an image, illustrating all closed positions in the trade alerts portfolio. The image is blurred to protect the interests of our paying members. 2As illustrated, all of our alerts have a position size allocation. 3All alerts are time-stamped, with the PDF of the e-mail alerts attached and viewable by clicking ‘view’ in the right column of the table. 4Click here to navigate to our Trade Alerts subscription page.